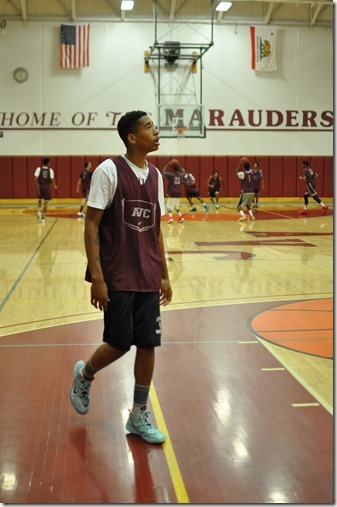 Grey Cooksey was one of the top players in the Antelope Valley in 2012. He was recruited out of Palmdale High School to Cal State Northridge University. Things did not workout for Grey at CSNU and he red-shirted his 2012-13 year and still has four years of basketball eligibility left. Cooksey is an excellent student and although he was not playing basketball, he pounded out a full year of classes and is considered a sophomore academically. The 2013-14 year was a year of introspection that led him home with the determination to get his life together. Looks like something has clicked now that he joined the Marauder’s. He has found his comfort zone with AVC’s Assistant Coach Frazier, his former high school coach and the hard working talented AVC squad. 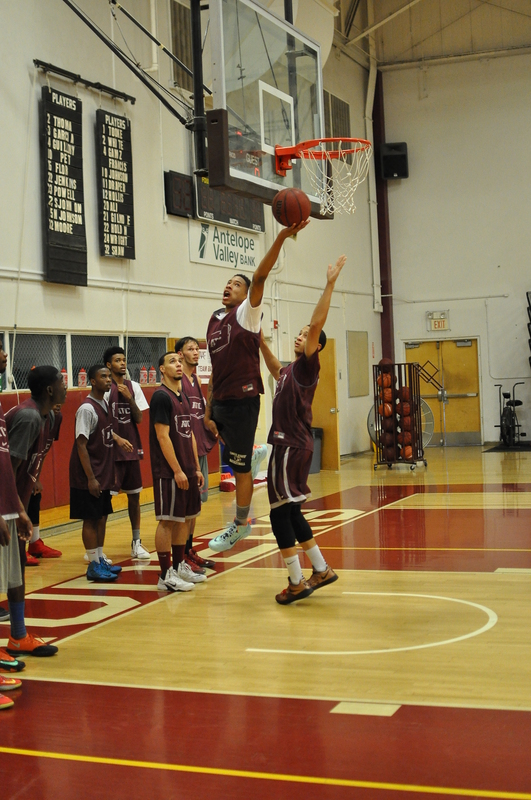 Cooksey has the talent to be a successful D-1 player. He is a greyhound running the floor. He has a deadly midrange shot and very active all over the court. He has good ball handling skills. Grey knows that the next level will require him to put on some muscle to be more effective. His teammates pointed out to me the other day the “guns” that he is sporting. Another sign he has turned the corner on taking it to the next level. Grey is described as one of the smartest basketball players, both basketball and academically(academic qualifier), and with the speed he is learning the complex D-1 offensive/defensive style system run by Antelope Valley, he is living up to to that reputation. Grey is now learning what his role on this team will be. Cooksey is undecided on his major. but knows that he wants to get a degree and play basketball at the highest level possible. Some times it takes a little more time for some players to get it all together. Sometimes all it takes is to be at the right place surrounded by the right people. He looks to be a great addition to the AVC team. Cooksey did not make the AVC this year. Best of luck to him.